Of course, as with everything in life, blogging has been quite a learning curve. The road to success is never straightforward, and we're all bound to make some mistakes along the way. Today, I'd like to share with you a few important things I've learned throughout my online journey. Of course, I am by no means a blogging expert, and still have a lot to learn - these are just a few things I've picked up throughout my journey. Hope you enjoy! I think that a lot of people go into blogging with the expectation of achieving instant success and recognition. The truth is, it takes a long, long time to build your audience. 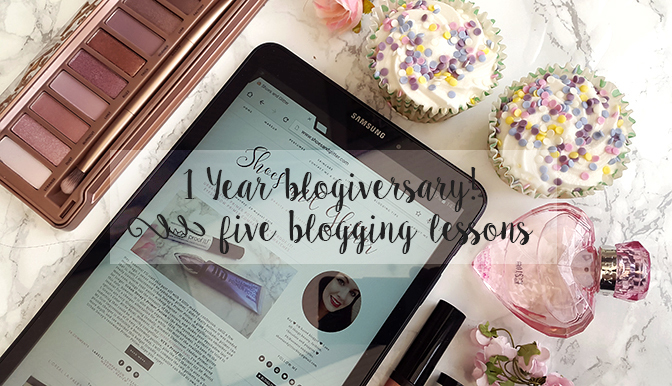 I've been blogging for exactly a year now, and I still feel like an irrelevant drop in the ocean of wonderful, well-established blogs. 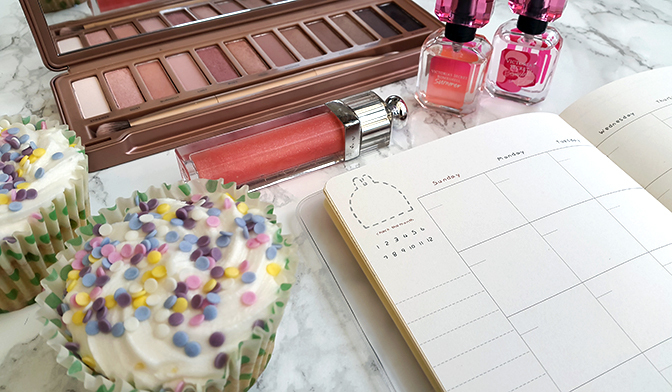 With hundreds of new beauty blogs being created every day, it is incredibly difficult to make your website stand out and attract new readers. I do believe that every blogger is capable of achieving great success, but it's important to be patient and manage your expectations. When I first started my blog, I was surprised by how long it takes to build up steady traffic. It took me months to reach more than 100 pageviews a day (most of them were probably my own, anyway!) but once you get there - it will only keep on getting better! 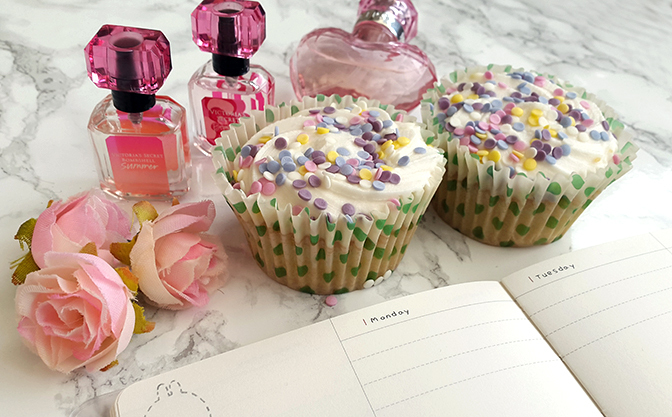 Be persistent, consistent and most importantly - enjoy blogging! Connecting with your audience and fellow bloggers is essential if you want to gain more exposure. Think of blogging as a conversation - it shouldn't just be you talking at your readers, publishing one post after another without engaging with anyone. Blogging is all about interacting and building relationships with your audience - the best way to do so is to always comment back, visit other blogs and engage with people on social media. I neglected to do this completely on my old blog (you can read more about my failed blog here! ), and ended up with about ten pageviews per week! You could honestly write the best, most engaging posts; but if no one knows about your blog, your reader base will be limited. Exposure is key to a successful blog, and you can achieve it through connecting with your readers and fellow bloggers. At the end of the day, blogging should be fun and there is no need to take it too seriously. I see a lot of bloggers get really worked up whenever they're unable to stick to their posting schedule, constantly apologising for the lack of content, new posts, etc. Life sometimes gets in the way, and it's perfectly okay if you want to slow down or take a break! People won't just forget about your blog, so unless you're planning a long-term hiatus, there is no need to worry about losing your readers. I remember getting really worked up the first time I had to take a week long break from blogging, but guess what - in the end, I didn't lose any readers, and the traffic didn't slow down. Always put yourself first, and remember - sometimes it's good to take a break, and return to blogging with renewed energy. If you've been blogging for a while, you've probably noticed that there are certain types of posts that just aren't that popular, and don't get as many views. This can be a little disheartening, especially if it's something that you genuinely enjoy blogging about - but don't let that bring you down! For instance, my perfume posts always get way less clicks than my standard makeup reviews, but I still enjoy doing them. To my surprise, my most viewed posts aren't even the ones I'm particularly proud of - my NYX Lip Lingerie review has nearly three times as many clicks as the second most popular post. If I limited my blog to beauty hauls and reviews of recent makeup launches, I'd likely get far more traffic than I currently do - but it wouldn't feel right for me to do that. I think that it's important to always blog about the things you're truly passionate about, whether it's something mainstream or a niche hobby! GET YOUR SOCIAL MEDIA GAME ON - EARLY! One of my biggest regrets as a blogger is that it took me nearly ten months to set up an Instagram account! Using social media to promote your blog is a great way of gaining more exposure and attracting new readers. I think that it's good to get started on it early, so that your social media presence grows with your blog. I've created my Twitter page around the same time as my blog, and it remains as one of my top sources for blog traffic. I still refuse to set up Snapchat, though! Part I - How to make your blog stand out? Part II - How to grow your audience? Part III - How to improve your blog photos? Part IV - How to write beauty reviews? What are the most important things you've learned throughout your blogging journey? What would be your number one tip?